So imagine you and your buddies just made camp after a 20-mile hike and your energy stores are low. Your buddy Steve offers you an MRE he bought from a garage sale 5 years ago. Eww... that's when you pull out your trusty pouch of Mountain House Beef Stroganoff and instantly all your buddies are jealous. Especially Steve. So imagine you and your buddies just made camp after a 20-mile hike and your energy stores are low. Your buddy Steve offers you an MRE he bought from a garage sale 5 years ago. Eww... that&apos;s when you pull out your trusty pouch of Mountain House Beef Stroganoff and instantly all your buddies are jealous. Especially Steve. 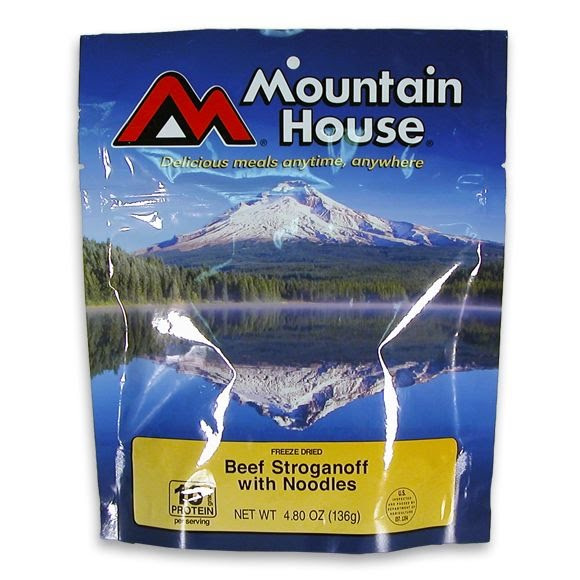 Because while Steve is eating his old survival ration, you&apos;ll be dining on real, honest-to-goodness beef stroganoff. Made with tender, all natural beef, savory mushrooms and onions with noodles in a rich sour cream sauce. Trust us, this is way better than whatever Steve is eating.